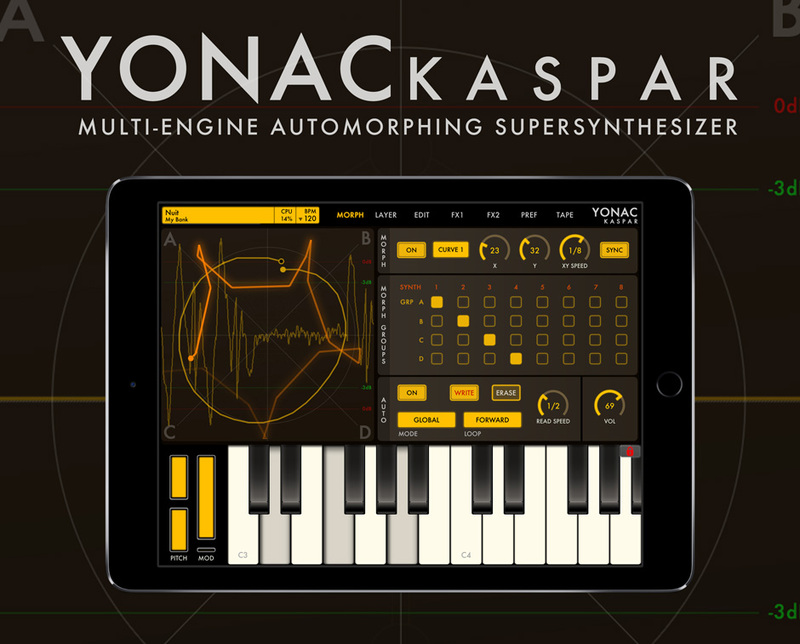 After a short wait Yonac bring us their new synth, KASPAR. An iOS synth that harnesses the power of 8 polyphonic synths. The synth features a new cutting edge Multi-Engine Automorphing SuperSynthesis technology. It has a total of 24 oscillators, 8 filters, 8 arps and layering abilities. In addition to extensive MIDI capabilities, Inter-App Audio, and Audiobus, it also works as an Audio Unit plug in.